The Best MFM Team Just Got Better! 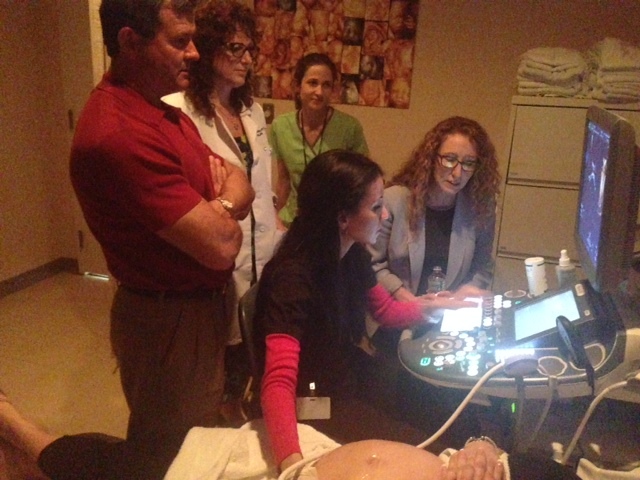 On May 1 3-14, 2014, New Jersey Perinatal Associates welcomed the team from GE Healthcare to our office for an onsite training course in Advanced Voluson Technology. This course, which is normally held in Wisconsin at GE Healthcare headquarters, is designed to educate the physicians and sonographers about how to obtain optimal performance from our state-of-the-art GE ultrasound equipment. For these two days, all of NJPA’s perinatologists and sonographers participated in a lecture series as well as a hands-on training course to further advance our ultrasound knowledge and skills. We would like to extend a special thanks to all our wonderful pregnant volunteers as well as the amazing instructors from GE Healthcare. NJPA is proud to be at the forefront of perinatal ultrasound technology and offer the highest level of care to our patients.